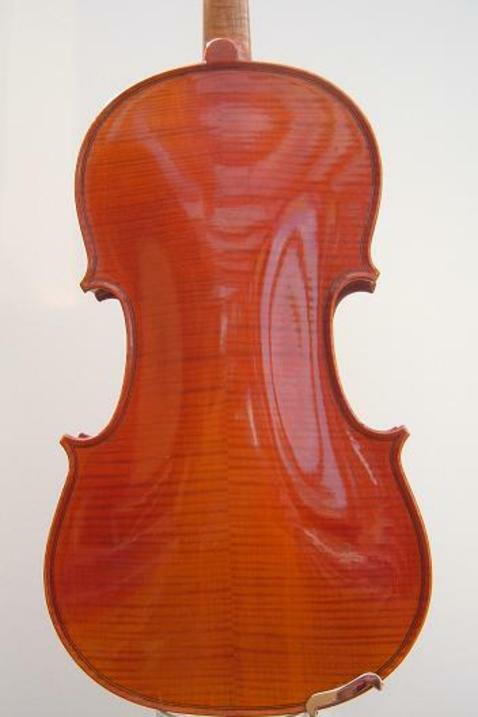 Early to mid 20th Century violin labelled 'Copie de Antonius Stradivarius etc.' 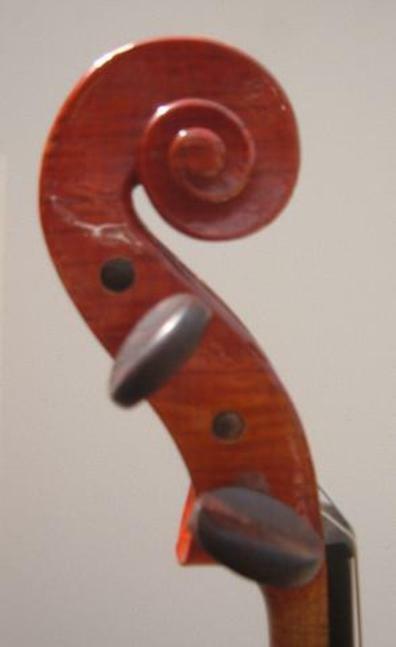 Quality hand-made instrument with a two-piece back of strong, narrow flame. Red-orange varnish. Clean, strong, open sound. Condition: Looks as though it has been stored away since it was made. The original pegs are in newly-fitted condition. 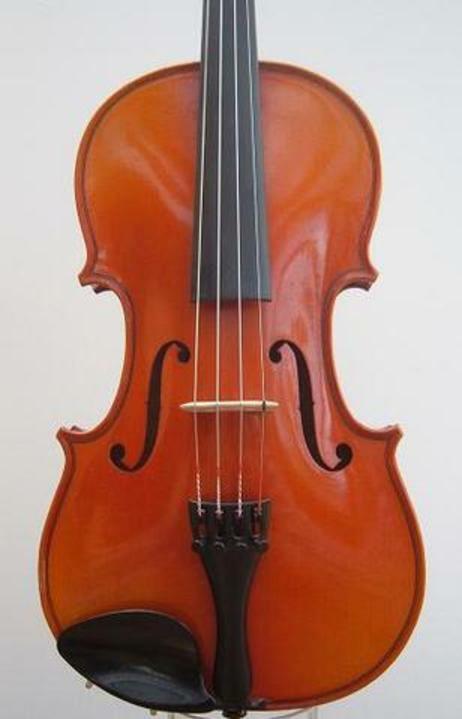 In my opinion, this violin has hardly been played. It has a couple of tiny dings to the varnish, but otherwise in 'as new' condition. Set up with new bridge , original rosewood pegs, Helicore strings and Wittner tailpiece.